1. Host Group offers Live Online Tutoring that you can book as a one-on-one review session that's fully customized and private. Our online tutoring costs $75 per hour and cover Real Estate Salesperson (general and state exam prep), Real Estate Broker (general and state exam prep), and Mortgage Loan Originator (national and state exam prep). 2. Schedule a private lesson with our head instructor in our Boston office. You can customize the topics that will be covered, and be able to work one-on-one with an instructor until you feel comfortable with the material. Private lessons cost $175 per hour; Contact us to learn more or schedule a private lessons. 3. If you originally took your pre-licensing class at another school, retake the course with Host Group. Our classes are very thorough, plus we offer a lifetime audit policy so you can keep coming back to the class (for no additional cost) until you pass the exam. Learn more about our Real Estate Salesperson pre-licensing class, our Real Estate Broker pre-licensing class, or our Mortgage Loan Originator pre-licensing class. 4. Check out our online bookstore and purchase study aids such as practice exams, flash cards, and supplemental reading material. To become a licensed Mortgage Loan Originator, your first step is to complete a 20-hour NMLS-approved pre-licensing class. Host Group offers this course as a live class or as an online class. After you complete the class, there are a number of other requirements that must be met before you receive your license; because these requirements are constantly changing, we recommend you visit the website for the NMLS website for the most update rules. You need to take the 40-hour Real Estate Salesperson Pre-Licensing course. This class is offered live in our Boston office a few times a month. Learn more about the course, including topics covered, prices, and schedules. You can also visit the website for the Board of Registration for Real Estate Brokers and Salespersons to learn more about the state requirements. All Mortgage Loan Originators in the Commonwealth of Massachusetts need to complete 8 hours of Continuing Education every year. Host Group offers this 8-hour course as a live class that includes 1 hour of MA-specific content, as well as an online class that does not include the required MA-specific content. Please visit the NMLS website for the most current education requirements for Mortgage Loan Originators. If you've been actively licensed as a Real Estate Salesperson and have been associated with a Real Estate Broker for at least THREE years, you should take our 40-hour Real Estate Broker Pre-Licensing course. Learn more about the course, including prices and schedules. You can also visit the website for the Board of Registration for Real Estate Brokers and Salespersons to learn more about the state requirements. Real estate brokers and salespersons in Massachusetts need to complete 12 hours of continuing education every two years. If you don't complete the full 12 hours before your birthday (every other year), your license will expire. 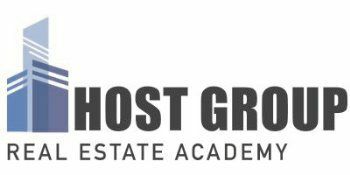 Host Group offers real estate continuing education courses in live classes at our Boston office or online classes that you can complete from your own home. Click here for more details on our continuing education courses. You can also visit the website for the Board of Registration for Real Estate Brokers and Salespersons to learn more about the state requirements.